Can I Change My Mind After Paying for a Bankruptcy Filing? Sometimes, people who intend to file for bankruptcy protection have a change of heart once it’s done, or once they pay to have a bankruptcy initiated. Different procedures apply once the bankruptcy has been filed with a court, as opposed to when you have only paid an attorney or another third party to file for bankruptcy protection on your behalf – but the paperwork hasn’t yet been filed. 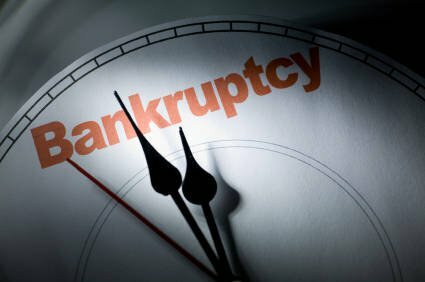 Generally speaking, some bankruptcy codes allow you to voluntarily dismiss a Chapter 13 bankruptcy as long as your situation wasn’t converted from a Chapter 7 bankruptcy. In essence, if you have gone through the paperwork requirements, have filed necessary documents, and have asked the court to write off some of your debts through a Chapter 13 bankruptcy filing, or to write off all of your debts in a Chapter 7 bankruptcy filing, then you have formally sought bankruptcy protection. So if you change your mind at this point, you have to ask the court for permission to dismiss your bankruptcy petition. The court will ask the reason why you’ve had this change of heart, and you’ll need to explain. You have to have what’s considered “sufficient reason” to change your mind. It may be that you actually came into some money, so that you don’t need to have your debts discharged through bankruptcy. The court is much more likely to go ahead and dismiss your case if they feel that doing so is not going to harm your creditors. But what happens if you haven’t actually filed the paperwork, but you have requested that an attorney go ahead and initiate bankruptcy proceedings for you? Again, you still can change your mind. But realize that you must now deal with that attorney rather than a court. So the question now becomes: to what extent can you successfully negotiate with the lawyer whom you’ve engaged to start the process? One of my readers on AskTheMoneyCoach.com had a change of heart about filing for bankruptcy protection. This individual had not gone through the court system at all, had not yet filled out the paperwork, but had paid an attorney (via the attorney’s secretary) $1,500 to process and/or initiate the bankruptcy. In this case, you must pick up the phone and immediately tell the attorney that you’ve had a change of heart and that you’d like to have your money refunded. If, on the other hand, you only paid the fee a couple days ago, maybe a week ago, and the attorney has not yet done anything with the case, hasn’t initiated any paperwork, and if you haven’t filled out any paperwork to bring back to the court, then you might have a bit more leverage in dealing with the attorney. He or she will probably still charge you some kind of fee, but you might be able to get back a larger portion of your $1,500. I would expect that an attorney who’s dealing with you in good faith would not keep your money in full if you do not go through with the bankruptcy. But the best course of action is to reach out to the lawyer’s office ASAP, let him or her know that you’ve decided not to pursue a Chapter 7 or a Chapter 13, and to request a refund. You may also need to meet with your attorney in order to get your money back. If so, this may just be a formality for you to sign paperwork saying you want to terminate your agreement because you no longer wish to pursue bankruptcy. 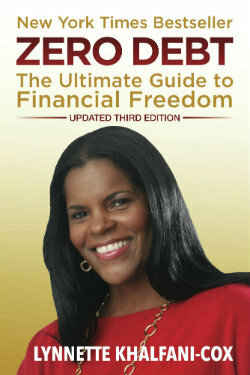 i filed for bankruptcy a few years ago but changed my mind and did not go through with it why is ?